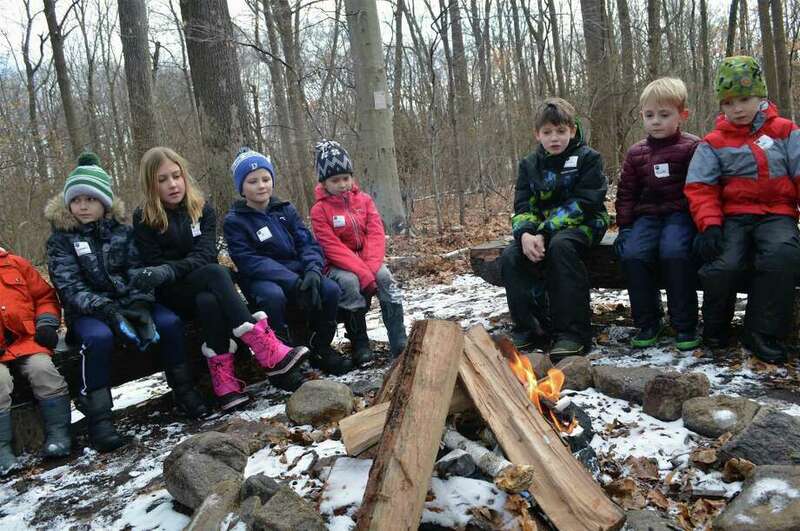 Campers watch the first flames appear at the Darien Nature Center's winter hike and campfire, Friday, Jan. 18, 2019, in Darien, Conn.
DARIEN — With school canceled on Friday, the Darien Nature Center gave kids a chance for some pioneer-style learning, as well as some outdoor fun. In this case, it was the allure of not only an open fire in the woods, but hot cocoa and fresh popcorn made over the flames. About a dozen children trekked the trails, learning a fact or two about nature but also enjoying play time in the great outdoors.